My colour of the week this week, it seems, has been red - I've another red card to post later. These stamps are by Pinkfresh and I paper-pieced Santa's jumper with some old freebie paper. What a cute Santa image! Love your paper piecing, Marina! Nice to see that Santa has some time to at least sit down, if not relax, when he is perusing his lists. Lovely card! Love your stress free Santa card. Certainly relaxed here after a long round world trip. Thanks for sharing at ATSMthis week. This is adorable, great paper piecing! Fun image and great paper piecing. 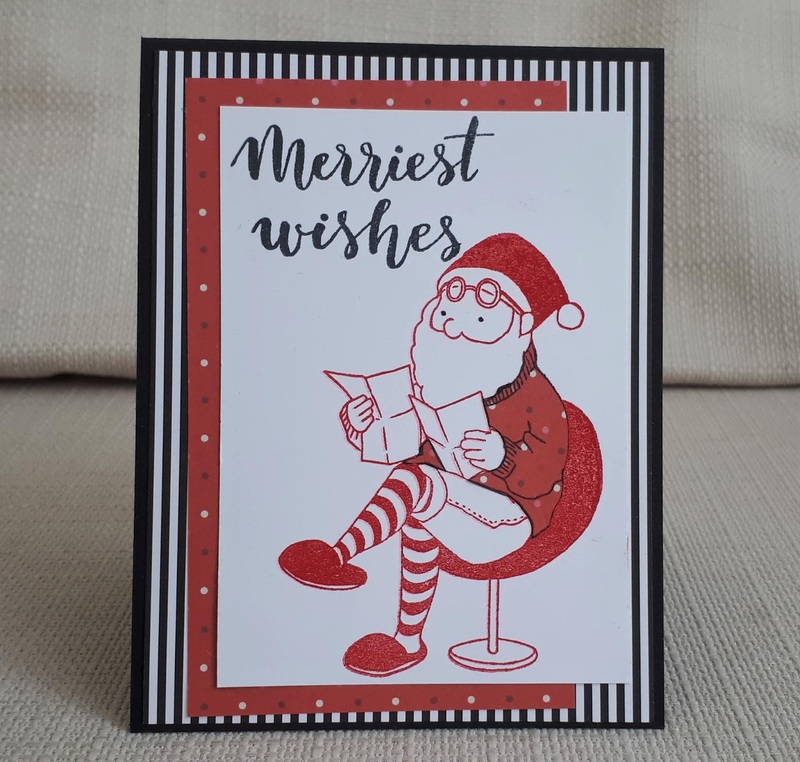 Marina I'm liking your red white and black Christmas card and your large image Santa. With a minimal of colours there's nothing to distract one from that great image. 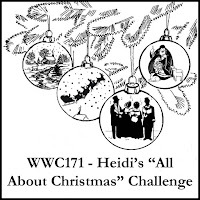 Thanks so much for sharing with us this week at Watercooler Wednesday's "All About Christmas" Anything Goes challenge. What a great use of red, white and black, Marina. It makes your Santa pop! Love how casually he's reading through those letters. Thanks so much for joining our Watercooler Wednesday Challenge this week.